Assessment, management and treatment of acute and chronic illness, physical exams, sports physicals, DOT/CDL physicals, joint injections, I&D’s, lesion removals and sutures. She received her Master's Degree in physician assistant studies from the University of Kentucky. 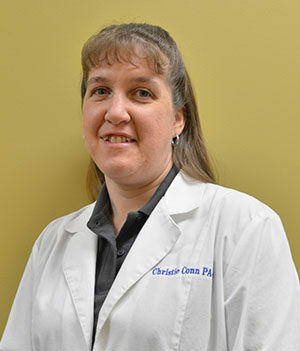 Prior to her physician assistant studies she graduated from Morehead State University where she earned a Bachelor Degree in Biology and minor athletic training, of which she also has certification. She has been practicing physician assistant since 2006 in the field of family practice/internal medicine. From 2006-2012 she also concurrently worked in Emergency Medicine. She was born in Morehead, KY. She is married. She enjoys camping, hunting, sports and outdoor activities with her husband.